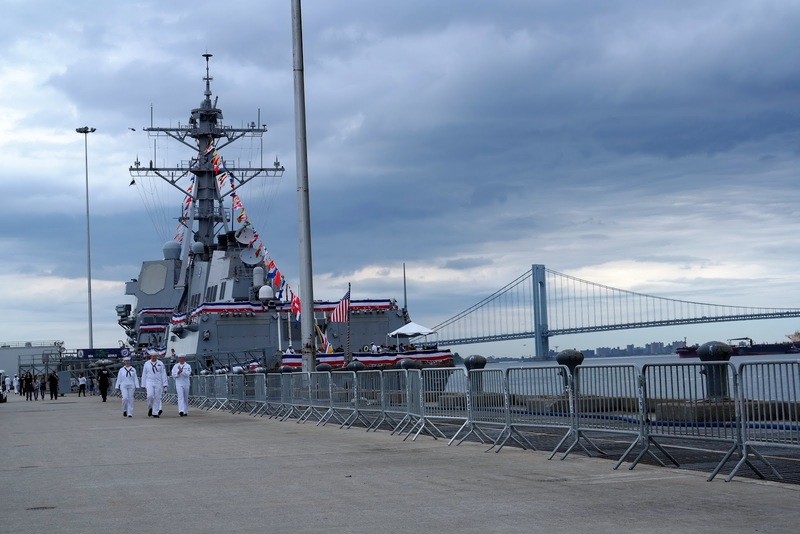 Fleet week is a time honored tradition where New York City and its surrounding areas would have the opportunity to meet the men and women of the Navy, Marines and Coast Guards. You would see them walk around Times Square in uniform. It is a sight that never fails to put a smile on my face. It is also an indication that Memorial Day is coming soon and it is the unofficial start of summer (or at least you know it is coming soon). This year we decided to go to Staten Island and line up to see the participating ships this year. We head up to downtown New York to catch the ferry to Staten Island. The ferry trip often gets skipped by the tourists to New York City. It is free and one of the best way to see the Downtown New York from the water and the Statue of Liberty, even from afar. Speaking of comfort foods, nothing soothes my aches and chills than a nice steaming bowl of spicy noodles. I try to stop by for lunch at Korea town at least once a week. Food has been consistent and I always find a new place to try on next. I miss Seoul but this is close enough for me to be home away from home. I don't care much about football but I do look forward to the championship event. It is a good reason to have a party, drink and be merry. You don't really need to know the technical aspects of the game. You will know when everyone has that intense look on their face waiting for the touchdown. That moment of silence breaks into bursts of joy (or disappointment) at the end. It is hard not to ignore the festivities when you know that the biggest party in town in right in your hometown. 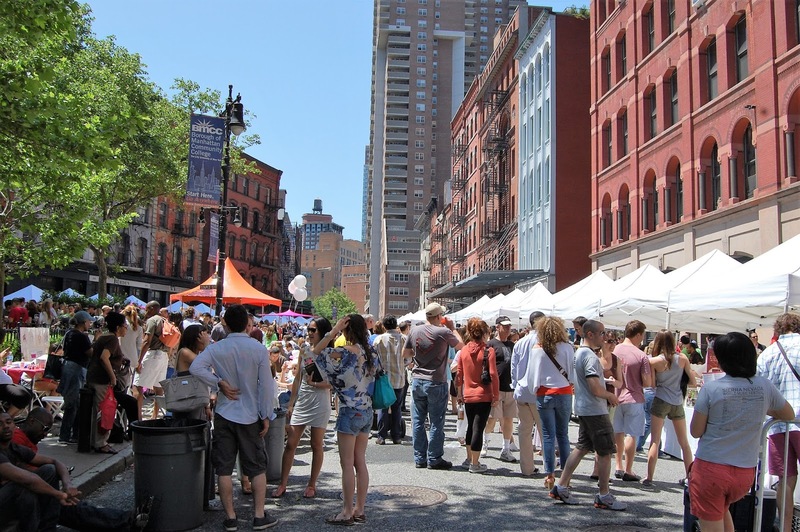 New York City - Another street fair that I look forward to every year. 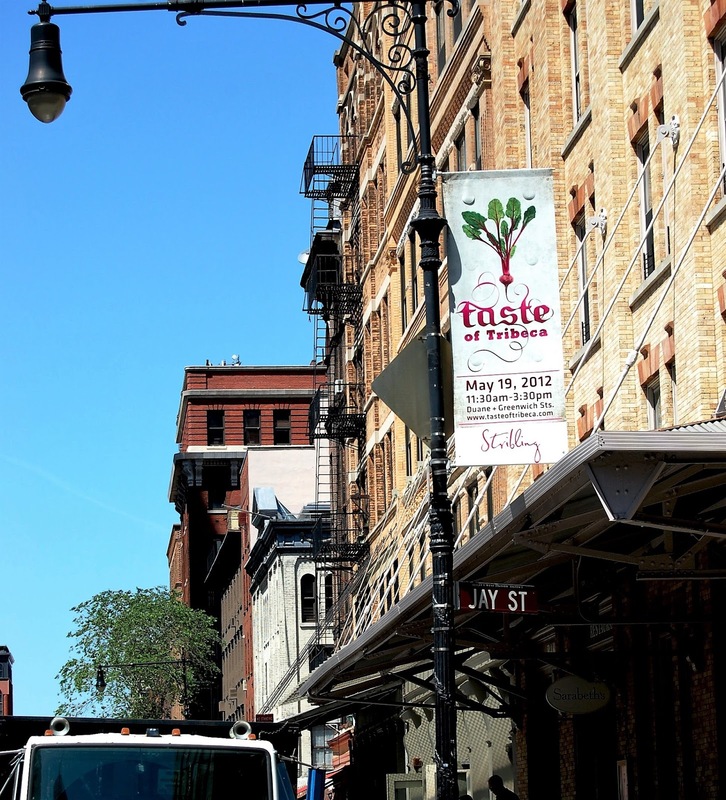 Like the Taste of Tribeca in downtown, it is a collection of sample fares from nearby restaurants. At least this time, the tasting portions have reasonable prices. Whenever we stop by Central Park we ended up dropping by FAO Schwarz. The last time we went there was when we took the opportunity to visit Cooper-Hewitt Museum on a free day pass. Everyone loves a toy store. I am sure Madison would be thrilled to run around here. After weeks of constant rain and cloudy weather, we finally had a clear day and full of sunshine. This is one of those days that you don't want to be stuck at home. 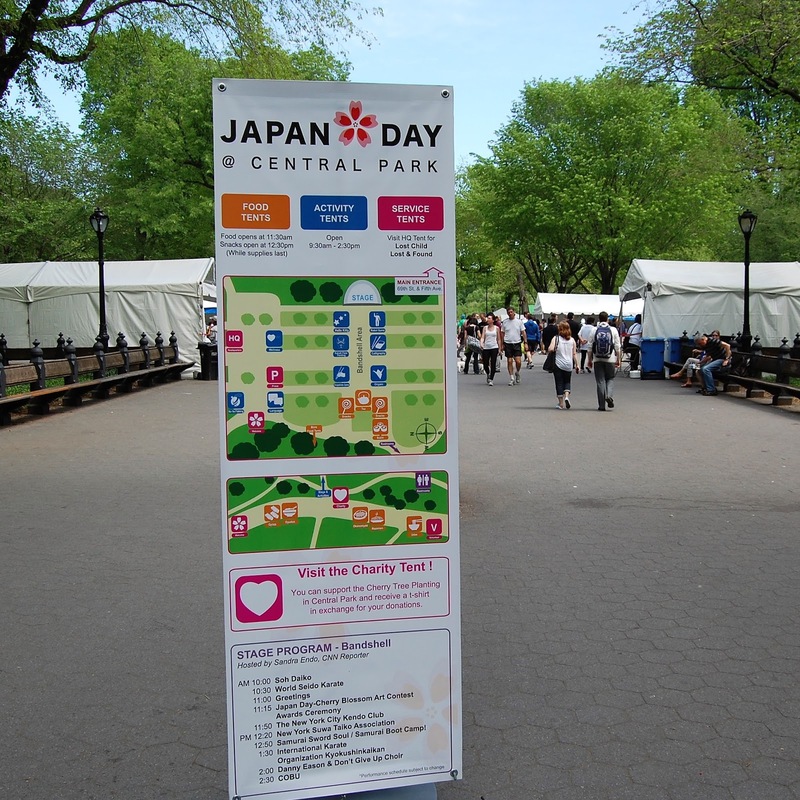 When we heard about the Annual Japan Day celebration in Central Park was on that weekend, Madison and I went to check it out. Every year nearby restaurants in the Tribeca neighborhood of NYC offer a select sample from their menu. It is an organized fundraiser to benefit art and technology enrichment for the local community. To be able to participate on the sample tasting, you have to buy a $50 card that would allow you to try 6 items on the menu. 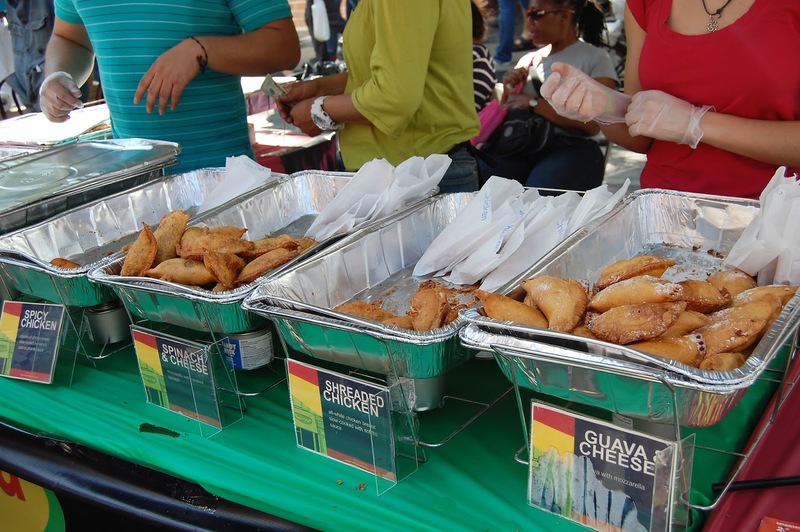 It's pricey but when you consider the quality and presentation on each booth, I would say this is the high end version of a street fair food festival. And its for a good cause. A lot of good looking people in Tribeca. We made a point to stop by one of the major trade shows in New York City called Playtime New York. They are small in terms of size compared to ENK Children's club yet they reach an international market. 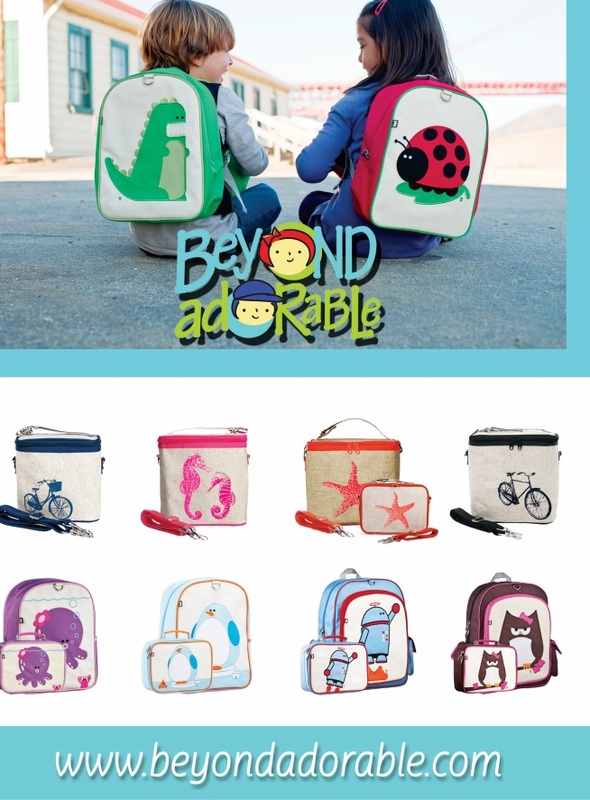 The current collections displayed are for the Fall/Winter season 2012/2013. 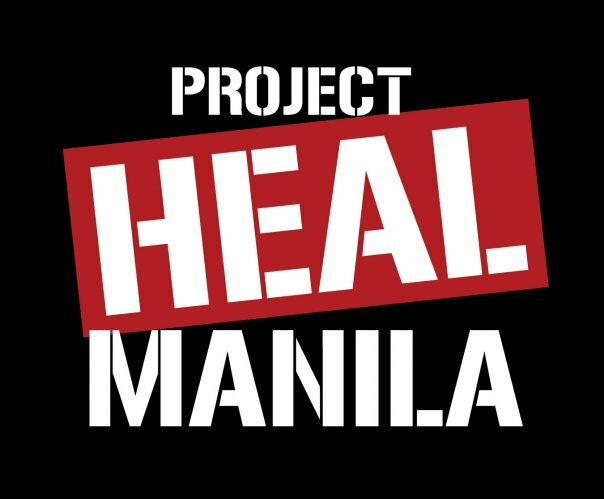 I was invited last weekend for a fundraiser called "Evening in Manila: Winter Edition", it was for the benefit of eKindling. They provide technology education with programs such as One Laptop per Child to communities in the Philippines. My sisters and I love to spend the day in NYC. Since we live in the Jersey suburbia, the bus takes us about 1-2 hours commute depending on traffic. 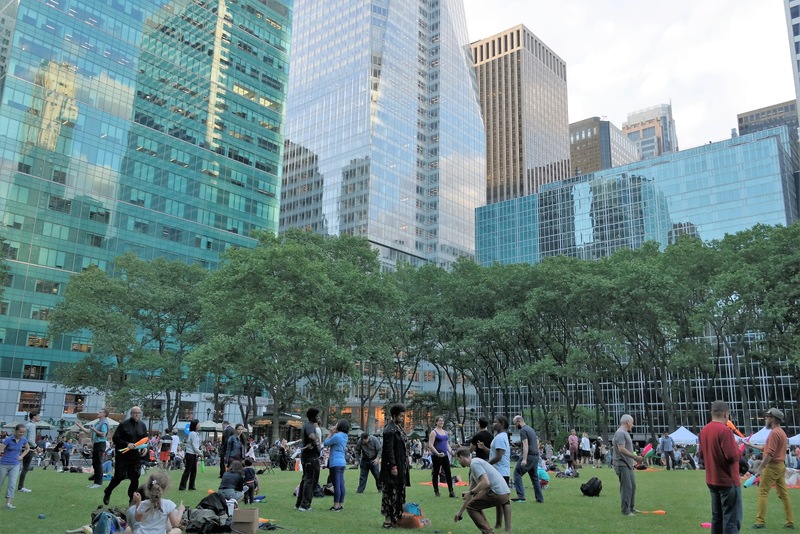 And when we are in the city, we usually go to our favorite places which makes it difficult to try something new. This time we tried to venture out beyond the confines of Chinatown and started our day walking aimlessly and enjoy the nice fall weather. We finally found our way up the High Line Bridge. I had passed a booth that is promoting classes for those who are interested on learning how to weave. For years, I have expressed an interest to learn how to crochet and probably add weaving on that list. A continuation from the previous post, below are photos from the streetfair Japan Soul Food Festival 2010 in New York City. The photos were taken around the end of summer. It was a festival of Japan's culinary specialties that had vendors exhibit foods using local and traditional dishes. Some of them are familiar, you might have ordered it from your favorite Japanese restaurant and some were interesting. I usually like to eat something sweet while taking my afternoon tea/coffee. This what had greeted us when we decided to take a break from our leisurely walk going to midtown. You have to pass through a fancy jewelry store complete with polite security guards in pressed suits to get into the elevator. Since we are coming from the nearby museum, we were dressed down in jeans and sneakers. This is one of those times that I wished to have dressed up a little bit. But no worries, we were given our table and the rest of our orders accordingly. There was a free museum day nationwide with most of the major museum has participated on this event. You only had to sign up online and it will give you and another adult an e-pass ticket and present it on the ticket center. This year we chose to go to Cooper-Hewitt, National Design Museum. I have been to most major museums in NYC but this one seem to allude me. Every year during the Museum Mile event, this place had the longest line and if I decide to visit on a regular day, it had a steep $15 entrance free. For that fee it would also be on the same par with the Met Museum with the option to get a same day access to The Cloisters. Another intriguing aspect about the Cooper-Hewitt that it used to be a Carnegie mansion. So I am more interested to see the mansion interiors than the collection. Unfortunately, inside photography are not allowed but at least let me show you some of the exterior shots. Everyone I talk to remembers where they were and what they were doing when it happened. Almost everyone I knew were glued to the television waiting for more information after the collapse happened. I was in NYC in the Chelsea area when it happened. I somehow knew something huge was going on. While I was strolling to my place of work, there were fire trucks rushing one after another along with multiple cop cars all sirens were on alert. You could tell it was high priority. When I got to work, the receptionist told me that the WTC was on fire. From then on, we went to watch what was happening on the news...till, the first building collapsed. We were stunned. Now, I could hear more fire truck sirens outside. A lot of people too are walking on their way home. I could barely see any cars nor cabs on the road. I noticed that the office phone lines were dead and so are the cell phones. You can't get any signals at all. My employer offered us to stay in the city since they heard that the Port Authority, where I catch my bus home, was closed including all bridges and tunnels going in NYC. Still, I opted to go home to New Jersey.